Some dog owners wonder if they really need to continue to pay for preventative heartworm treatment. They may think that the cost outweighs the risk, especially because there is a heartworm treatment for adult dogs. However, consider this: heartworm is still a serious infection and adult heartworm is still fairly widespread. A heartworm infection for an adult dog would mean hospitalization and risk of side effects for your dog (which may require further medical care). If your dog develops a heartworm infection, there is only one drug approved by the FDA to treat it. As the drug, Immiticide, goes to work, dead and dying worms in the heart and lungs can cause an inflammatory reaction. This means that your dog has to be hospitalized for observation throughout treatment. 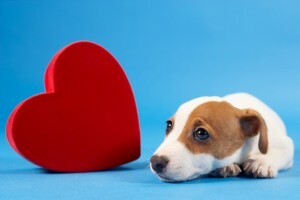 A heartworm positive dog must also drastically reduce activity level from the time of diagnosis until a month after the final Immiticide injection. Finally, Immiticide can kill the worms, but it cannot undo any heart or lung damage done by the worms before treatment. The good news is that heartworm, though serious, is easily preventable. There are several brands of monthly heartworm preventatives that can be taken orally or via topical application. Monthly heartworm preventatives should be used every month, year-round. The cost of the preventative care is well worth the outcome, far easier and less heart-wrenching than the alternative grueling treatment should your dog become infected.